Adorable Yuan Zai - the first panda to be born in Taiwan - is starting to show her little personality as she grows stronger. 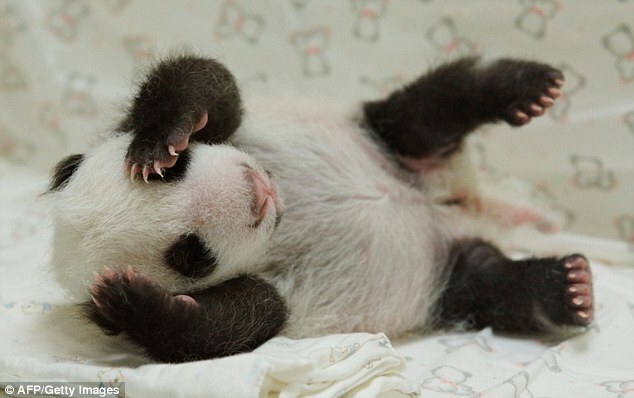 New pictures of the heart-melting Giant Panda cub, who was born last month, show the cute creature rolling around and showing an interest in others. 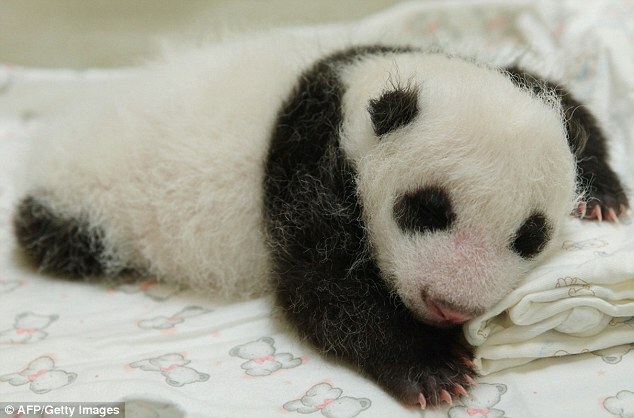 Little girl Yuan Zai was born at Taipei City Zoo, Taiwan, to Giant Pandas Yuan Yuan and Tuan Tuan. A team of keepers have been working around the clock to take care of the cub, who was initially kept in an incubator. But the public will have to wait three months to catch a glimpse of Taiwan's first newborn panda, officials said in July. The little girl in the meantime is starting to gain some strength and show some interest in things around her. 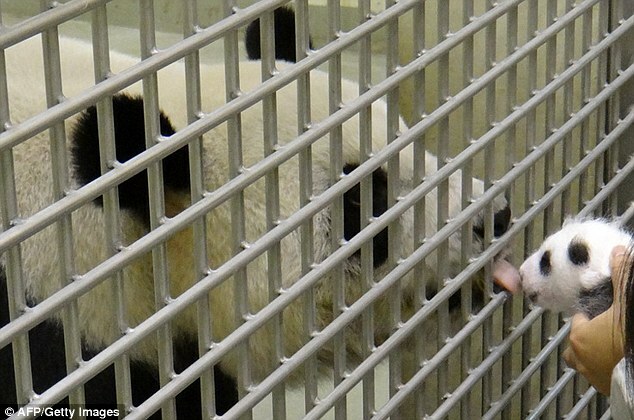 When held up to her mother's cage, the cute cub reached out her tiny paws. The mother, transfixed by the tiny bear cub, licked her through the cage. 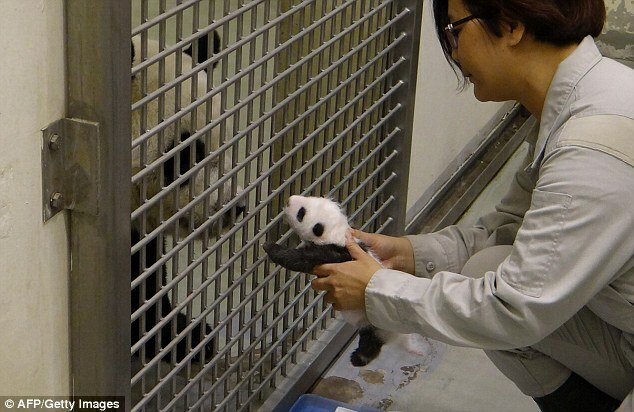 Staff at Taipei City Zoo have been caring for the miniature panda around the clock. Their daily routine includes feeding the cub, taking her temperature after each meal, changing her bedding and keeping track of her weight, zoo official Chang Chi-hua said. Yuan Yuan and her mate, Tuan Tuan, were gifted to Taiwan by China in late 2008 as a cross-Taiwan Strait gesture of goodwill and Yuan Zai is their first cub. In the wild, female Giant Pandas usually give birth to a cub every two years, for about 15 years. During the mating season several male pandas usually compete for a female and the dominant male will go on to mate with the female several times. However, breeding in captivity has proven to be difficult. It appears that male pandas show little interest in females and seem not to know how to mate. Many zoos pair one female panda with one male panda, and often the pair have struggled to produce offspring. It has been suggested that without other male pandas, males do not compete for females. 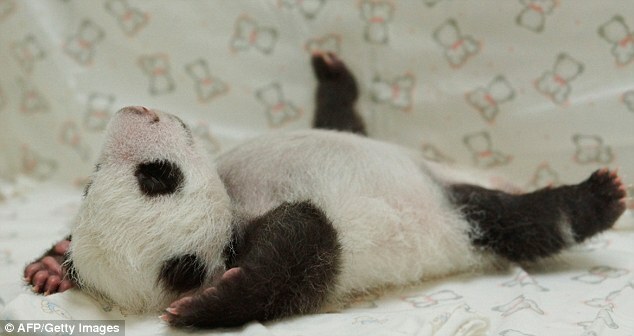 Also, female pandas only have a small window each year in which to fall pregnant. Every spring, they are in heat for 12 to 25 days, but they are only fertile for 24 to 36 hours of this time. 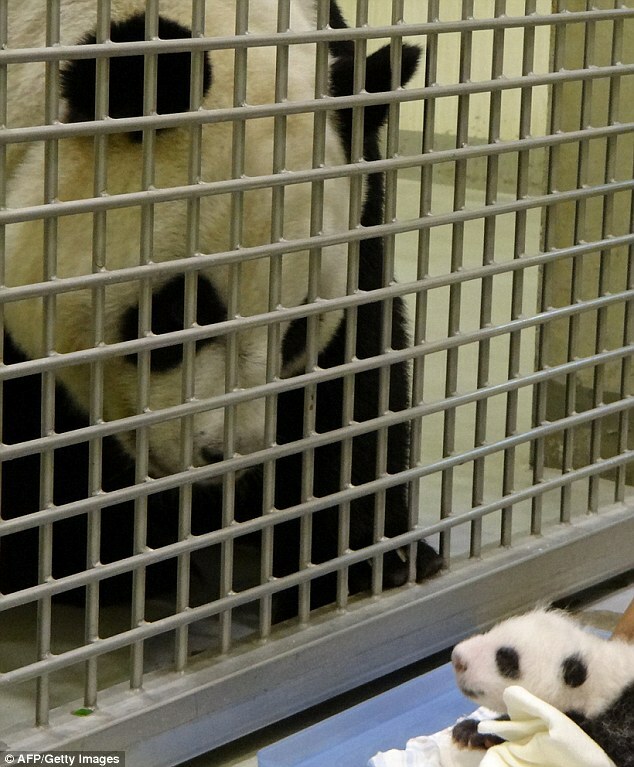 In order to produce panda cubs, some zoos have used artificial insemination techniques.